Today was our first market day in our neighborhood, and we were not disappointed. The produce was beautifully arranged, the array of fish, meat, olives and cheese was mind boggling, and the people were helpful and happy. We got bread and fruit (discovered a new fruit-mirabelle) for breakfast and salad, meat and hericots vert for dinner. Now that we know what is available, we are already planning our strategy for Saturday, the next market day. 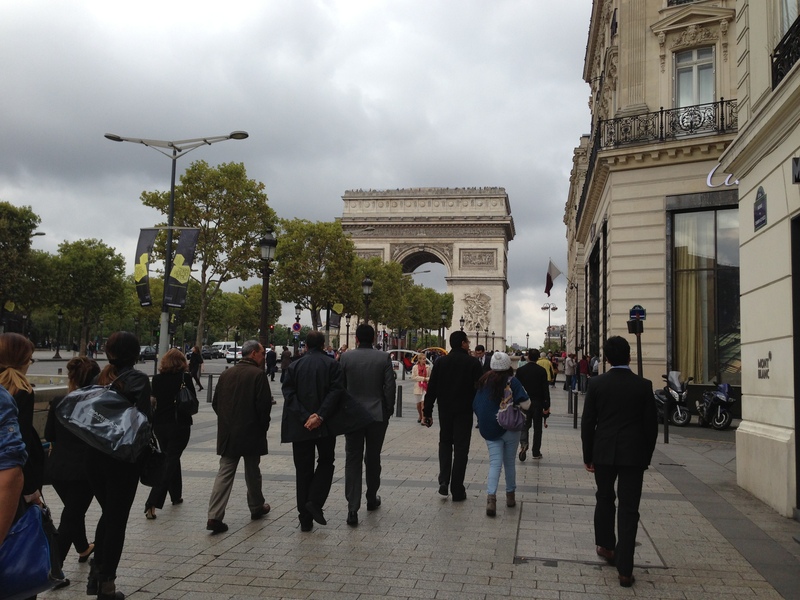 After breakfast, we strolled along the Champs-Elysees, one of the most beautiful and famous streets in the world. At one end is the Arc de Triomphe, which honors all those who fought and died in the French Revolutionary and Napoleonic War. We shared a yummy sugar crepe and then walked through the Tuileries Gardens. Later in the afternoon, Paul worked and thanks to a mutual friend, I met a Parisian woman with whom I had been e-mailing who is also focused on coaching people about retirement and positive aging. 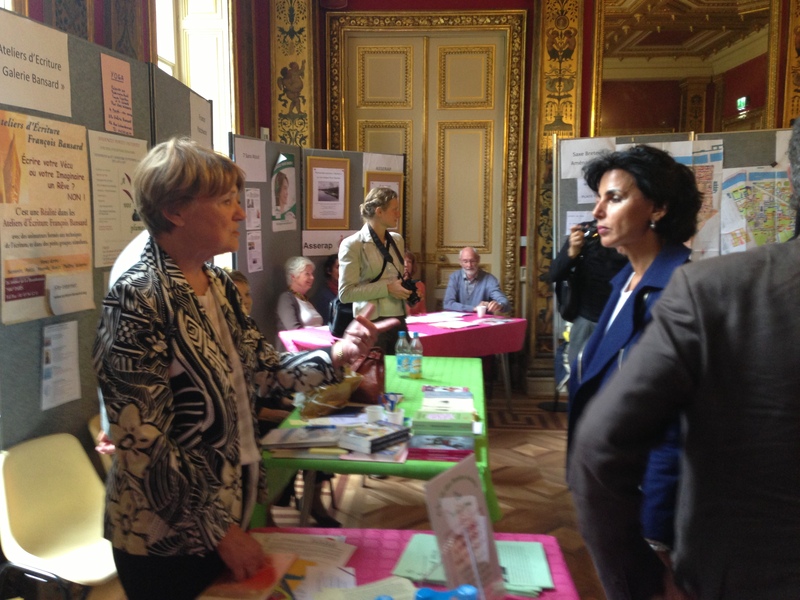 She invited me to visit the 7th arrondissement annual Forum Day, a program designed to acquaint residents with available services. The Mayoress of the 7th arrondissement visited the program and shook my hand. She was quite stylish in her blazer, skinny dark jeans and blue suede stilettos, not like any mayor I have seen in the USA. I also talked with a young Parisian man who had spent three months interning at Disney World in Orlando and loved Florida. After the program, my new French friend and I sat outside at a beautiful French cafe, enjoyed a glass of Sancerre wine, and had a great time discussing life. 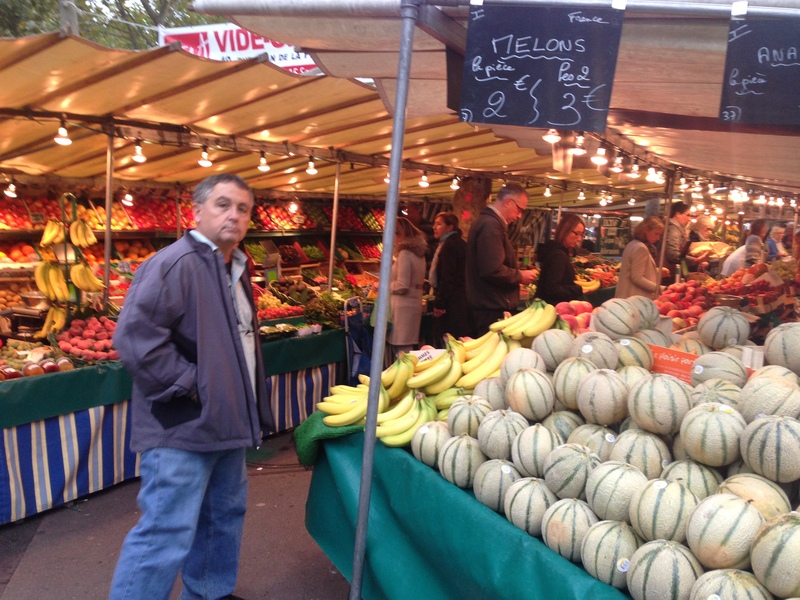 This entry was posted in Paris 2013 on September 11, 2013 by debbie.